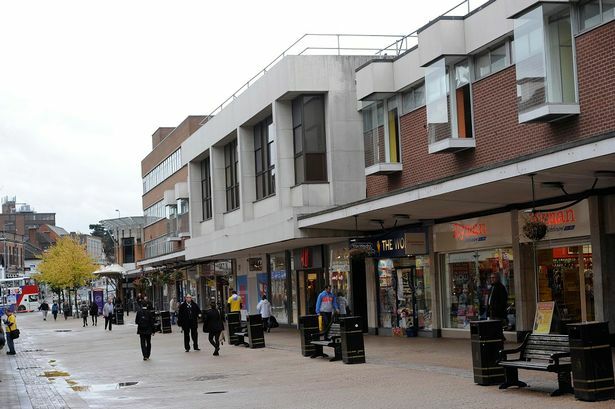 Sutton Coldfield could be the location of the largest town council in England if local residents decide to give the idea the thumbs-up in a historic ballot. Birmingham City Council is to give residents of the area a say on whether or not they want the area to have its own town council by conducting a consultative ballot. The move follows the submission of a petition of more than 10,000 signatures calling for a town council, which triggered a community governance review by the city council. Consultation conducted as part of that prompted 200 replies, with a wide variety of opinions expressed on the subject of a town council being created for Sutton Coldfield. In the wake of it the council has decided a consultative ballot should be held to decide the issue and this will now be held in June and July this year. The ballot will take place over three weeks from June 25 until July 16 with all 76,000 adult residents on the electoral roll in the Sutton Coldfield parliamentary constituency given the opportunity to vote on the subject. Ifor Jones, Birmingham City Council’s head of homes and neighbourhoods, said while the 200 responses from the consultation so far had been useful the council was keen to go the extra mile in letting residents have their say. The creation of a town council would involve raising a precept - an additional levy for residents on top of council tax. Mr Jones said if the precept were £50 it would generate around £1.8 million and on that basis the administration of a town council might cost around £200,000. Robert Connelly, the city council’s head of electoral services stressed the ballot was still part of the ongoing consultation process and even if Sutton votes yes there will be more processes to be gone through. However he admitted the first elections to a town council could take place as early as May 2016. He said: “I know in some areas it is being referred to as a referendum, but it is not. Whatever the results of the ballot any decision on establishing a town council for Sutton Coldfield would still rest with the city council. Exactly what services would be taken over by a town council would be decided by the new council itself. Town councils are similar to parish councils and can deal with a wide variety of services including the provision and maintenance of recreation grounds, parks, children’s play areas, playing fields, swimming baths cemeteries and crematoria and allotments. Also the cleaning and drainage of ponds, watercourses and ditches, the control of litter, the provision and maintenance of public toilets and the creation and maintenance of footpaths and bridleways. Commonly many also oversee bus shelters, the signposting and lighting of footpaths and off-street car parks. The council’s move has been welcomed by Coun Rob Pocock (Con, Sutton Vesey), one of the campaigners who helped gather the 10,000 signature petition calling for a town council. He said: “I never thought we would get to the point where we have a mass ballot, a referendum in effect of all the residents of Sutton Coldfield. “Many year ago I was told that it was fantasy and that I was living in cloud cuckoo land. “Whatever the result it is a fantastic decision. Everyone in Sutton Coldfield is going to have their say. “It will give people a far greater say in day to day services in their locality. Mr Jones said he was confident Sutton Coldfield Town Council, if it were to come into being, would be the largest in the country. Mr Jones added that some “benchmarking” exercises had already been taking place as regards Shrewsbury Town Council, which though slightly smaller is of a similar size. Mr Pocock said he and others had already visited Shrewsbury and had been impressed by what they had seen. He said: “A few of us went to see how Shrewsbury Town Council works. “When I went there I was a bit open-minded as to what I might think but I was absolutely blown away. “They have really put effective control of local environmental services under the town council. “I was impressed by the quality of grounds maintenance and more than anything you can feel a real pride in the town. “The town is decked with flowers and they have decorated the local hospital with flowers too. Mr Pocock said any suggestion the move might be a stepping stone to ‘the good old’ days before the Royal Borough became part of Birmingham were wide of the mark. He said: “It is not about going back to the past but forward - this is a way forward for the future not a way back to the past. “This is a brilliant opportunity to show what a modern forward-looking town council could be like, with citizens engaged and controlling their own affairs - recognising Sutton being part of Birmingham but having much greater control over things locally. “People fought like dogs to get this referendum and at last against all the odds we have managed to persuade the city council to concede.